If necessary, somebody will contact you shortly. We are very proud of the following pupils who graduated from the Shoe4Africa Martin Lel school and have gone to University. Shoe4Africa Martin Lel Secondary School 2011 – our first school that we built. We named the school after a local resident who had won the world championships. The concept that we have is to empower the kids. They see Martin as a global superstar and realize that he walked the walk that they do, he grew up locally, just like them, and through sport & education he conquered the world. Kids need role models. Vision and design concept. The vision of the school is to create an open environment, a safe space, and an innovative learning classroom in order to help create lasting knowledge and boost healing. From above, the building is shaped like two clasping hands, reaching out and coming together. This aligns with the name of our project, Kuunga Mkono, which means in Swahili “putting our hands together for something good.” The two hands coming together symbolizes teamwork, team spirit, and collaboration. It also symbolizes the fact that we are children in Hong Kong working with children in Kenya — two sides of the globe coming together. 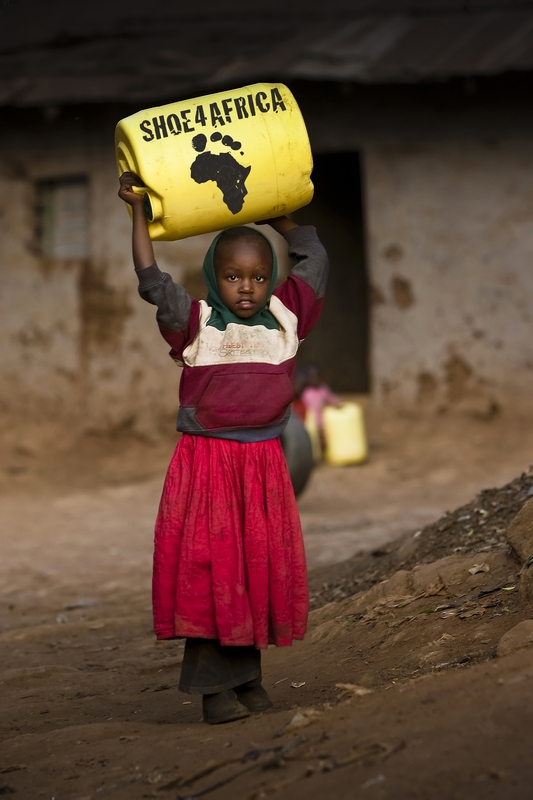 Shoe4Africa’s Child protection policies for equality, non-discrimination, and safety and comfort for each child falls under the guidelines imposed upon all public schools by the Kenyan Government. Shoe4Africa schools (public) look only to enhance and enforce the policies of the government. All Shoe4Africa staff are both briefed then trained on identifying the early signs in the playground, and in the classrooms. Upon Staff etiquette and behavior. Recognizing dangers and child security, reporting and documentation. All pupils are given a non-staff helpline call number should there be any suspicion of in-house wrong doings, and there is a procedure plan for in place for a child registering any concerns. During each new term teachers are briefed upon the CPP and updated with all school activities. Kids, parents, guardians, teachers are all encouraged to read the rights of a child and to fully understand what constitutes abuse under Kenyan Law. 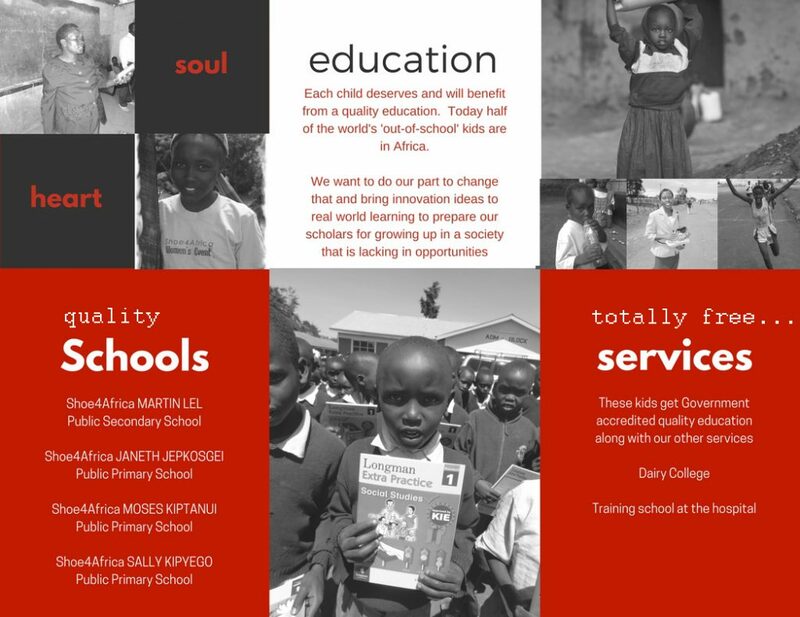 The principal of each Shoe4Africa school will have, in their office, a copy of the latest year’s Child’s rights booklet. Our teachers act with sensitively and are professionally trained. Listen, be calm, and react by protocol. Reassure the child that a solution will be found. Inform the child that all information’s will be discreetly handled though not to promise to keep anything a secret, or that information will be hidden, especially from a parent/authority. Stress that step one is talking openly, and this is not a ‘police interview’. Staff never give an opinion, but rather are a sounding board. All information is documented and must to reported to child services within 24-hours. If the teacher believes the child to be in danger immediate action must be taken with child services. Sign, date and document, and inform the school’s head within the close of the school day. Working with donors, partners, & advocates to Save and Empower African Kids Lives & Empowering Women through highly cost effective, scale-able proven methods.